Where once stood Queen Victoria and a greengrocers now stands a mecca for car enthusiasts from around the world. It’s very fitting that the premises of Classic Chrome in Sheen Lane – a business selling beautiful Classic Cars – should have a history. The small brick building where managing director Garry Shortt has his office was built in the 1860s and is reputed to be the waiting room used by Queen Victoria on her journeys to visit relatives living in Richmond Park. Since then the shop and showrooms has had many uses including a coal merchant at the turn of 19th century, a greengrocers and builder’s yard before Garry opened Classic Chrome in October 1989. Today it is a cornucopia of beautiful cars, a treasure trove of glamorous marques like MG, Jaguar, Mercedes, Porsche, Alfa Romeo, Ferrari, and Triumph and in their shop they have official Formula One merchandise and a huge selection of die-cast model cars and other accessories. It’s a common sight to see men and boys and often women gazing longingly and misty-eyed through the windows at the latest four wheeled work of art up for sale. You can have no soul if you cannot dream of driving a Jaguar E-Type – hailed as the world’s most beautiful car according to Enzo Ferrari – or cutting a dash in a TR6. Of course there is a slight snag to such daydreams – as always with daydreams – which is the cost of buying one of these triumphs of style and speed. As the years go by, classic cars rise in value and the current Jaguar E-Type SI 3.8 Coupe sitting in Classic Chrome’s front window which was built 50 years ago will set you back an eye-watering £75,000. That said, there are still plenty of people willing to write such a cheque. “These cars are great investments,” explained Garry, who started his career as an engineering apprentice with British Leyland in Oxford. 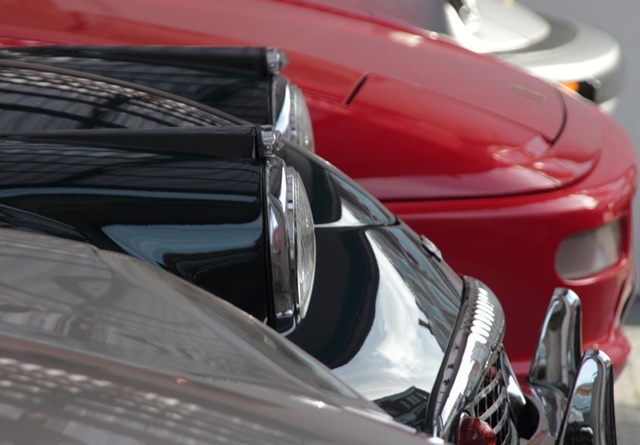 Car collectors from around the world make a beeline for Classic Chrome whenever they are in England and they have a very large database of overseas customers. 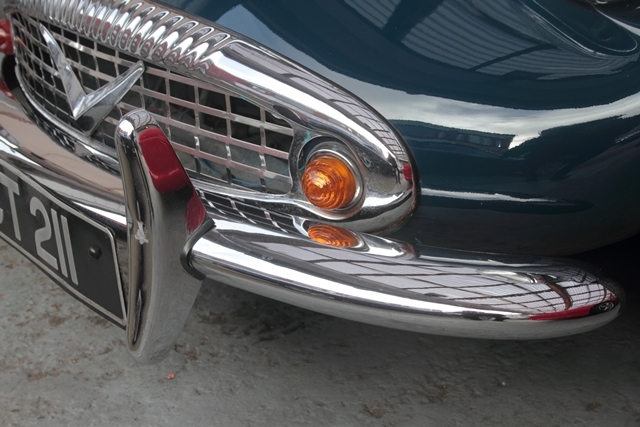 They also keep a very close eye on the firm’s website www.classic-chrome.co.uk where you will find all of Classic Chrome’s current stock + a vast number of privately owned classic’s which can be advertised for free on their web site. 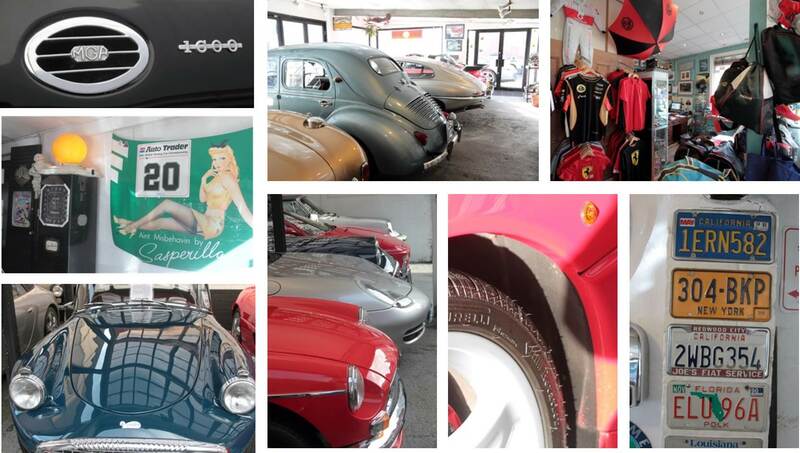 Currently there are over 150 cars for sale on the site ranging from a private sale of a 2001 Citroen Saxo Desire for £795 to Classic Chrome’s 1964 Jaguar E-Type Roadster for £95,000. 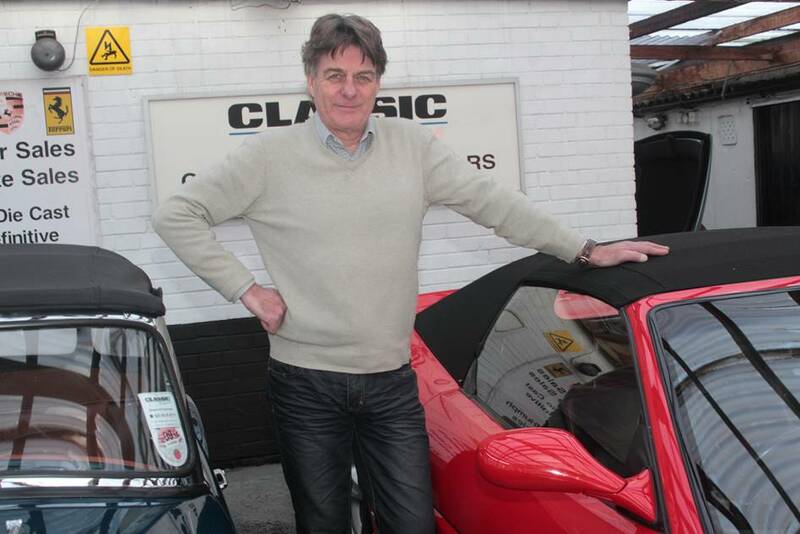 Garry is rightly proud of the fact that he was one of the very first Classic Car dealers in the UK to have a website, which he launched in early 1997. The most expensive sale achieved by the firm came last year, when a German collector paid £395,000 for an Aston Martin DB5, the type of car driven by James Bond in the early films. And it’s no surprise to learn that not only the rich but also the famous have bought cars from Garry. He’s reluctant to name some names but there are many and pop tycoon Simon Cowell, footballer Kevin Keegan and actor James Purefoy are among them. Classic Chrome is the home of cars of character. They also offer also a total care package for owners including Servicing and Repairs, MOTs, Restoration, and full Valet Services as well as friendly advice on all aspects of ownership, including investment potential, maintenance, insurance and finance. Thanks to Garry it is recognised as one of the country’s leading Classic and Sports Cars specialists and is a delight to visit. A true landmark of Mortlake and East Sheen!